I’ve started a new quilt to give as a gift next month, using a jelly roll I’ve had in my stash for a while of Kate & Birdie’s Story Book collection for Moda. It’s going to be a chevron quilt. I also had a jelly roll of Kona Snow in my stash, so I’m just using what I have on hand. 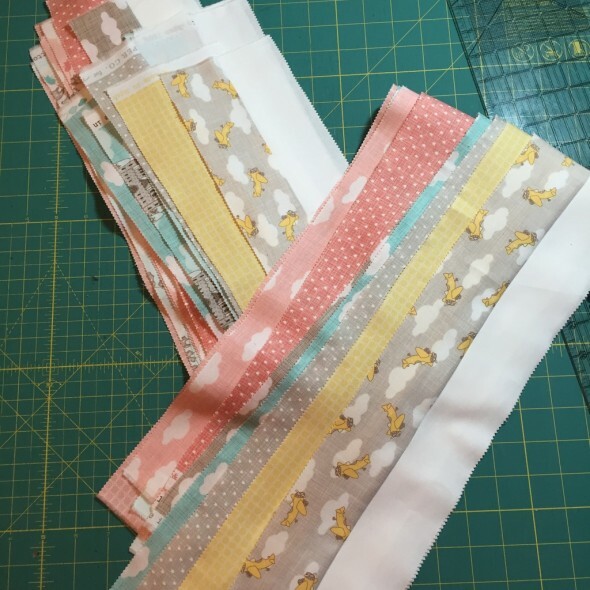 I sewed all of the 2.5″ Story Book strips to the Kona Snow strips, which became 4.5″ wide. 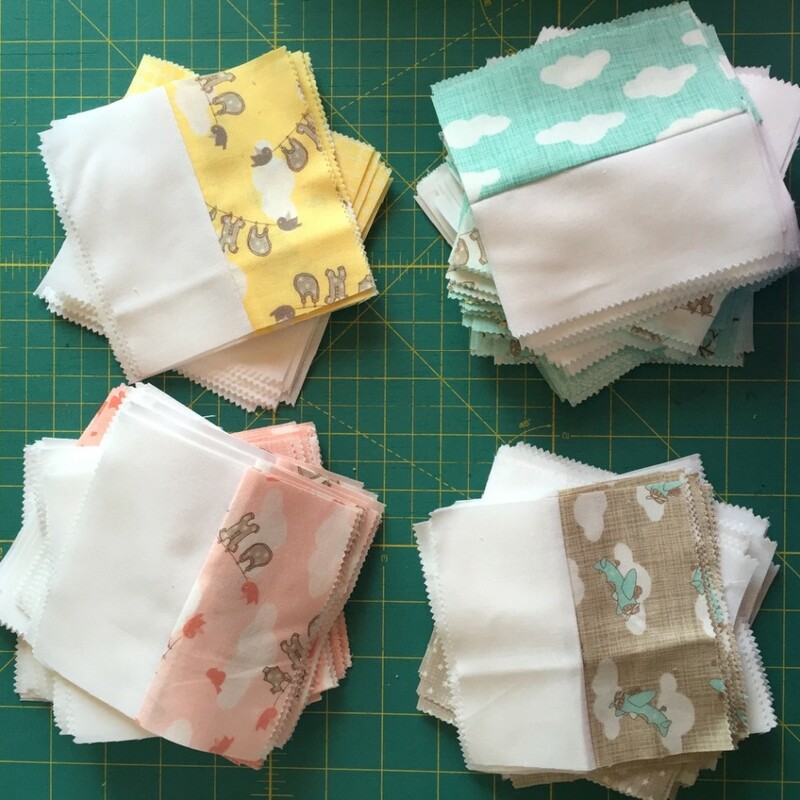 So then I cut them all up into 4.5″ squares. So next I need to lay out my chevron design and piece the blocks together. I’d really like to have the quilt top finished this week, I’m running out of time to get this one made and delivered.